Looking to service a vehicle? Our service technicians are trained to ensure they stay up to date with all new vehicle releases. Inventory Our assortment of used vehicles spans all makes and models. We carry a great selection of high end vehicles! Get Approved Apply online for your next vehicle loan. Get approved from the comfort of your own home! Serving Mississauga and Surrounding Area for Over 40 Years! Our assortment of used vehicles spans all makes and models. Let our friendly and courteous staff help you with all of your vehicle needs. We Provide CarProof, U.C.D.A. & O.M.V.D.A Reports On All Of Our Vehicles. Looking for a pre-owned vehicle? We have access to thousands of Cars, Trucks, SUVs and Vans. Let Mississauga Auto Centre help you find your dream car! 16 Service Bays to serve you better. Our certified technicians service all makes and models. 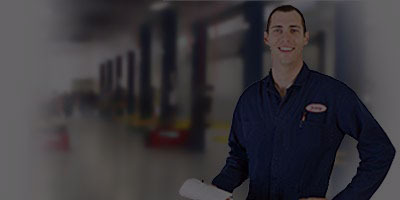 Ontario Drive Clean Repair and Test Facility ensure that your vehicle is in great hands. Insurance approved collision work to help get you back on the road in a timely manner. Welcome to Mississauga Auto Centre, servicing Mississauga, Toronto and the surrounding areas for 30 years! A family owned business, we are committed to provide the area with a great assortment of pre-owned vehicles and a friendly and courteous staff to help you service all of your vehicle needs. We look forward to meeting you soon! At Mississauga Auto Centre we proudly sell and service used cars to customers from Mississauga, Brampton, Burlington, Oakville, Vaughan, Toronto, Etobicoke, Milton, Port Credit and the GTA. Mississauga Auto Centre sells all makes and models including: Audi A4, BMW 335, BMW X5, Mercedes-Benz C-Class, Mercedes-Benz E-Class, Porsche 911, Dodge Grand Caravan and Mercedes-Benz M-Class. Visit Mississauga Auto Centre today at 1800 Lakeshore Road West Mississauga, ON L5J 1J7, or give us a call at 905.823.5535.